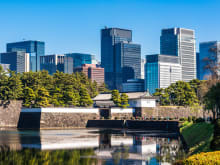 Tokyo Sky Bus offers unlimited city sightseeing bus rides with its open-top double-decker buses.The bus routes cover the best sightseeing spots of Tokyo, and guests can enjoy the sights of Tokyo at reasonable price! 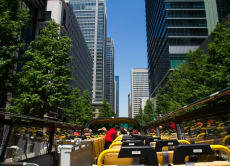 Get a Ticket for the Hop on Hop off Tokyo Sky Bus! Es una opción excelente si solo vas a quedarte en tokio. Sirve para las 2 lineas de metro (tokio metro, toei line y jr). Se cargan con dinero y puedes ocuparla tanto en el metro como en maquinas expendedoras, locales de comida, etc. Bus went to good locations for siteseeing but the information provided about the sites could have been better. I would still do this again, provided a welcome relief from being underground all of the time and travelled a very good distance for a site seeing Bus.